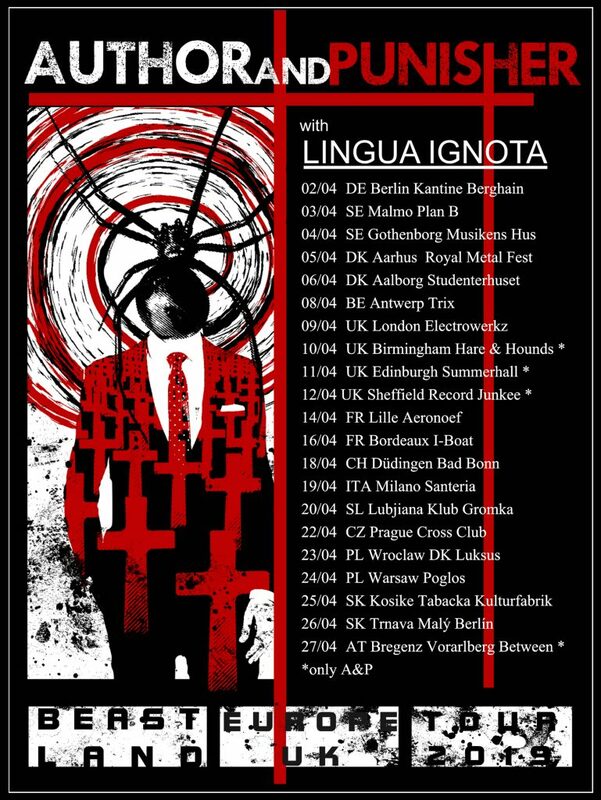 [02.04.19] Industrial metal visionary Author & Punisher returns to Europe and the UK this April with Lingua Ignota. Sixth album Beastland was recorded at K Street in San Diego, CA, and engineered by Tristan Shone and John Cota (Death Eyes). Additional recording was done in Las Cruces, NM with Jason Begin (vytear). The album was co-produced with Braden Diotte (Faust, EXO//ENDO, Neurosis, Pinback, Tarantula Hawk), mixed by Kurt Ballou at God City and mastered by Brad Boatright at Audiosiege. Drawing inspiration from his career as a mechanical engineer, Tristan Shone (the creator and sole artist behind Author & Punisher) forged a relationship with design, sound, and fabrication that ultimately yielded his hand-built drone machines which mapped the journey away from traditional instrumentation towards custom-made ‘precision machinery’. Armed with newly built ‘drone machines’ and a new label, Beastland is Author & Punisher’s career-defining statement and a powerful listening experience that further blurs the line between man and machine. See all confirmed tour dates below. Author & Punisher’s sixth studio album Beastland is out now on CD/LP/Digital via Relapse Records. Physical packages are available here and digital downloads / streaming here. A full collection of Author & Punisher music videos are available via YouTube here.